A small block of Glenmont's Colonial Acres development was hit exceptionally hard by yesterday's storms. More damage was reported throughout the Capital District, including Scotia where authorities later confirmed a tornado had touched down. Photos provided by Thomas Heffernan, Sr.
ALBANY — Albany Center Gallery (“ACG”), a nonprofit gallery that has showcased local and regional visual arts for forty years, has announced it will relocate to the historic Arcade Building at 488 Broadway in Albany, after two years of searching for a new location. The 75,000-square foot building, despite its desirable downtown location, was empty for years until owner Fairbank Properties recently completed a $10 million renovation that includes 60 apartments. in addition to the gallery, which will occupy approximately 2,000-square feet of space, the Arcade is also home to the second location for Stacks Espresso Bar. Iadicicco noted that the new location will open opportunities to better connect with Downtown Albany’s newest residents and help bridge the arts corridor to other development projects, including: the proposed Palace Theatre expansion; the soon-to-be-completed Albany Capital Center; and the Times Union Center upgrades. “We are proud to welcome Albany Center Gallery as an anchor destination to the building and the emerging Maiden Lane corridor. There should be more collaboration to draw residents and businesses back to downtown,” said David Sarraf, manager of Fairbank Properties. As well as exhibiting more than 1,000 visual artists over the last four decade, ACG has a long history of collaboration and developing partnerships within the community. 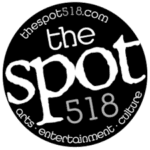 It has been able to sustain its programs because of private community support and from arts-focused development activities such the Albany Wine and Dine for the Arts, the Community Foundation of the Greater Capital Region’s Capital City Fund, Albany County Convention and Visitors Bureau, and NYSCA. 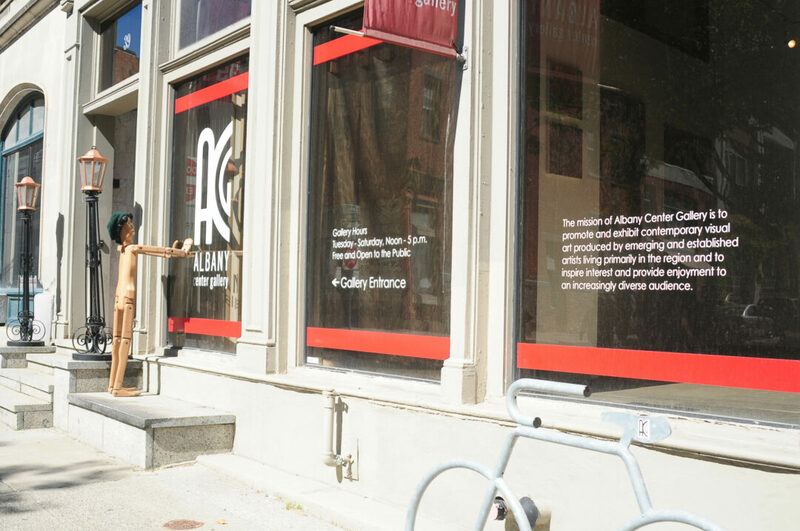 Even so, this move is financially motivated and allow the gallery to save on rent each month. “We are launching a special ‘40 for 40 Club’ campaign in October to honor our 40th anniversary and raise funds for the move,”said Kevin Dubner, vice president of the ACG Board of Directors, which has pledged to match up to $8,000 in donations from the community. The 40th Anniversary campaign is in conjunction with the Gallery’s Annual Gala, its largest fundraiser of the year, to be held at the Renaissance Albany Hotel on Saturday, Nov. 19. “We hope the community will come out and help us celebrate these important milestones,” added Dubner. ACG, founded by Les Urbach in 1977, was first housed in the Capital District Psychiatric Center. The move to the Arcade marks an important chapter in ACG’s 40-year history. Those who wish to support the gallery by making a donation, becoming a member, purchasing Gala tickets, or even offer moving assistance, should contact Tony Iadicicco at 462-4775 or by visiting albanycentergallery.org.